▼Shift Into Spring Credit offer (value up to $1,000) is available to qualifying retail customers who cash purchase/finance/lease a select new, in-stock 2018 and 2019 Mazda model from an authorized Mazda dealer in Canada between March 1–April 1, 2019. Amounts vary by model: $300 on all 2018 Mazda3/Mazda3 Sport, on all 2018 Mazda6, on all 2019 CX-3 and on all 2018 & 2019 CX-5 models. $475 on 2019 MX-5 ST GS models. $750 on all 2018 MX-5 ST/MX-5 RF, on 2019 MX-5 ST GS-P & GT, on all 2019 MX-5 RF models. Maximum $1,000 on all 2018 & 2019 CX-9 models. Shift Into Spring Credit applied before taxes. Some conditions apply. NOTE: Shift Into Spring Credit offer not available on 2019 Mazda3 models. See dealer for complete details. Licence, insurance, taxes and down payment (where applicable) are extra and may be required at the time of purchase. Dealer may sell/lease for less. Dealer order/trade may be necessary on certain vehicles. Lease and finance on approved credit for qualified customers only. Offers subject to change without notice. Your Surrey Mazda Dealership, Serving The Surrey Area’s Mazda Needs. 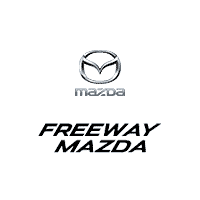 Thank you for visiting Freeway Mazda, your Surrey Mazda dealer, and Surrey used car dealership. Our large inventory of Mazdas in Surrey, ensures our customers from Surrey, Delta, Langley, or anywhere else in the Surrey area, can choose from a wide array of colors and trim levels. Chances are, we’ll have the exact new Mazda or pre-owned car or truck you’ve been looking for. Whether your perfect car is the new Mazda3 or your favorite Mazda is the Mazda CX-5, we can put you in the new Mazda, or used vehicle that meets your every need. And whether you are buying a new Mazda, or something pre-owned, we have financing and leasing programs to fit nearly every budget to make sure you can drive off our Surrey lot with a smile on your face.